Congratulations to Joseph Schooling and Singapore! Thanks to Schooling’s amazing feat in the 100m Butterfly Finals in the Rio 2016 Olympics, Singapore secured our first ever Olympic Gold! As a Singaporean, I am puffed with pride over this Herculean achievement by Joseph Schooling considering the sheer odds against him. Schooling’s fairytale-like win is incredible considering that he broke an Olympic record, becoming the first person to swim below 51 seconds at the games with a timing of 50:39 seconds. That he also trumped his childhood hero Michael Phelps (previously unbeaten in the pool) and two other world class swimmers made his victory so much sweeter. While Schooling continues to break Singapore’s Internet – there hasn’t been a topic as widely talked about as this in a long time – it may be useful for you to consider lessons in success from the Schooling effect. Inspired by his win, and borrowing the acronym GOLF from a Jay Abraham podcast I’ve recently listened to featuring Joe Polish and Dean Jackson of I Love Marketing, I used the acronym GOLFERS to draw 7 lessons in success from Schooling’s winning watery exploits. Joseph Schooling has been a man on a mission for a very long time. Even while he was a kid at 6 years of age, he had always wanted to be a world-class swimmer. 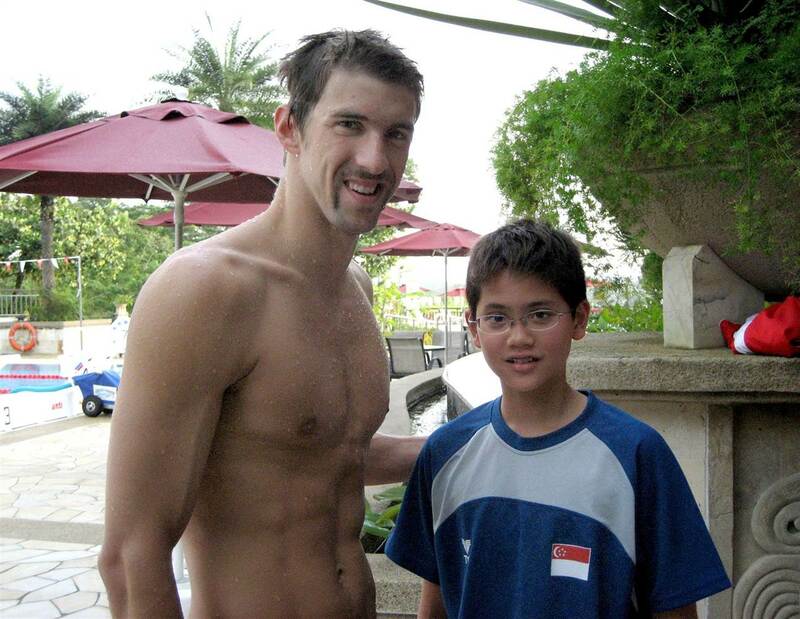 From a young age, he has considered Olympian legend Michael Phelps as his idol. He has even posed with the hulk of a man in a photograph when he was a gawky teen. Ask yourself this: What clear and focused goal do you need to achieve? What is that burning desire in your heart? While it may not be a lifelong ambition which you’ve always harboured, it is necessary to have that singularity of vision in order to succeed. This would set the “end point” of your journey and let you know when you’ve arrived. To be a champion swimmer, you need to have the best environment. In Schooling’s case, this was found in the US in the University of Texas in Austin, Texas. As a “Longhorn”, Schooling would have one of the best training facilities, mentors and coaches to ensure his success. He could also race regularly against some of the best collegiate swimmers in the world. Don’t believe me? Just read about the number of Olympian medalists who hailed from that prestigious tertiary institution. Similarly consider what the best environment would be for you to achieve success. Do you need to uproot yourself from your comfort zone? With a razor sharp focus on his goal of world class swimming, Schooling knew that he can’t achieve the same level of athletic success in the comforts of home. There are so many temptations around us here in Singapore – including our fabulous food of course. Perhaps the closeness to family and friends may also be distracting on the social front. This was why he needed to venture on his lone sojourn to Texas. Likewise, consider what you need to do to slice all distractions out of your life. Will playing Pokemon GO be a major time and energy drain? What about saying “No” to some of the fun but frivolous activities which swarm you? One of the stories which struck me about Schooling’s steely resolve was how rigidly he kept to his training timings. I remembered an interview where his dad Colin Schooling remembered how Joseph needed to wake up at 4 am each day in a foreign land in order to train at the pool. This occurred back when he was barely in his tweens. Sticking to a schedule is paramount for success, regardless of the levels of your playing field. Keep to a regular timing and let nothing shift that commitment. For example, if you need two hours to complete a piece of work every morning, set that in your schedule and let nothing change that. 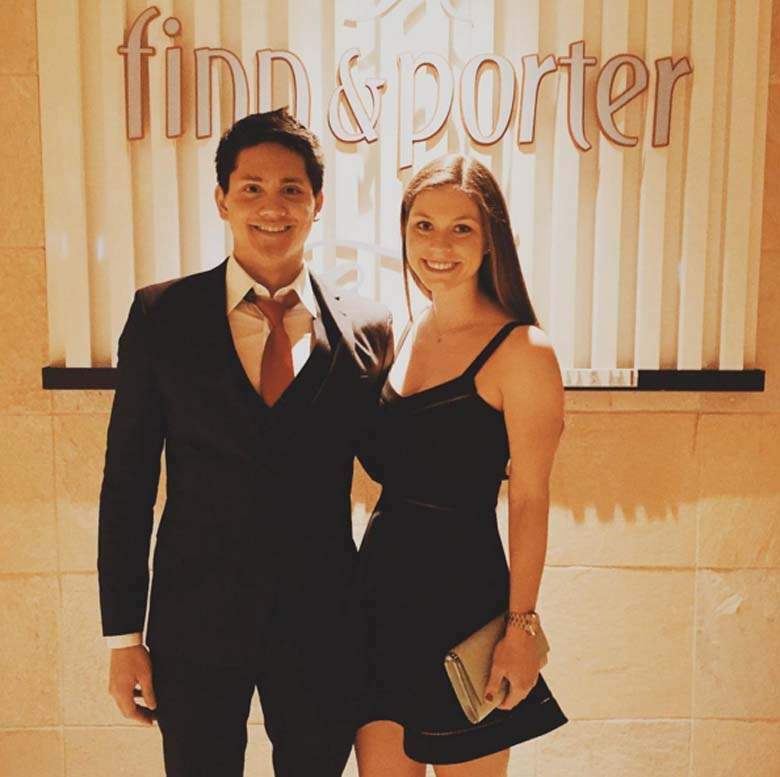 One of the major factors which led to Joseph Schooling stunning success is that he surrounds himself with the right people. Beyond his dedicated parents and childhood friends who have encouraged and fueled his dream, he has also named Olympian Michael Phelps as one of his life-long inspirations. At the University of Texas where he studied and trained, his girlfriend Casey Shomaker was also an athlete and a lifeguard to boot. As the saying goes, you are the average of the five people you spend the most time with. If you wish to achieve greater success at work or in life, do surround yourself with the right mentors, coaches, and friends who will not only encourage you when you are down, but give you a kick in the behind when needed. Joseph Schooling’s ability to overcome the bitter taste of defeat is a classic tale of triumphing over one’s failure. Schooling said then that this affected his focus four years ago. However, he managed to put aside that incident (plus the sheer pressure of the nation’s medal hopes on himself) and went on to make a splash for victory. Bouncing back from failure is an invaluable life lesson in whatever endeavour which you are in. Rather than let it stick to you like a thorn in the flesh, treat each mistake or screw-up as a learning opportunity. In fact, you may even want to celebrate your failures (just like how Pixar has done so). The last and perhaps most poignant point about achieving massive success is massive sacrifice. For a start, consider the time and money ($1.3 million) which his parents Colin and May Schooling has invested in Joseph’s swimming career. They have also limited the time spent with their only child to about three weeks every year due to the distance between them. The tears were a result of “pent-up” energy after all the years that he and his wife, May, spent in helping to produce Singapore’s newly-minted Olympic champion. Joseph himself has sacrificed time with his friends here in Singapore as well as countless weeks, months and years to achieve his Olympian dream. Training daily under a punishing schedule, he probably had little time to enjoy the many pleasures of life. Are you ready to make the same sacrifices in time, energy, finances and even relationships to achieve your goal? While they may not be as drastic as uprooting yourself to move to a foreign land, you do need to consider what you need to give up and say “No” to in order before you can experience the sweet sensation of success. What other lessons in success can we learn from Joseph Schooling’s memorable victory in the 2016 Olympics? I’d love to hear your thoughts.